The point with the transitional tasks is to do something completely different, away from a screen. This gives me a bit of a mental recharge and frequently helps me break through some blocker on code or a document I’m working on. It should be obvious, but as I finish the tasks, they’re crossed off. If I can’t finish something, it gets pushed to the next day. 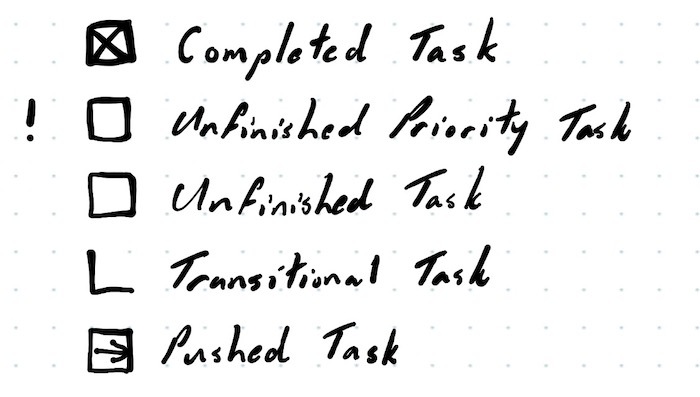 Pushed tasks are usually the first thing I try to take care of the next day. One key is to avoid overloading your daily task list. I only put one or two big rock projects for a given day. Keeping it short and manageable helps me feel like my day isn’t getting away from me. Next Post → United Polaris Leads Business Class Service in… Pillows?